It is sometimes impossible to prevent these events either at home or at work and even office-based back-up systems can be at risk. However the beauty of cloud computing is that it allows you to keep your files safe using recognised cloud storage systems. This removes the risk of localised data loss and leaves you free to continue your business or your leisure in the event of an emergency. iPiper is an easy to install, secure cloud back-up system that is available in IOS and Android app form. Using encrypted transfer, iPiper keeps a copy of your files safe in our EU data centres. iPiper Pro offers all of the secure back-up features of iPiper but also facilitates briefcase storage, which allows you to view and work on your files from any internet connected location. 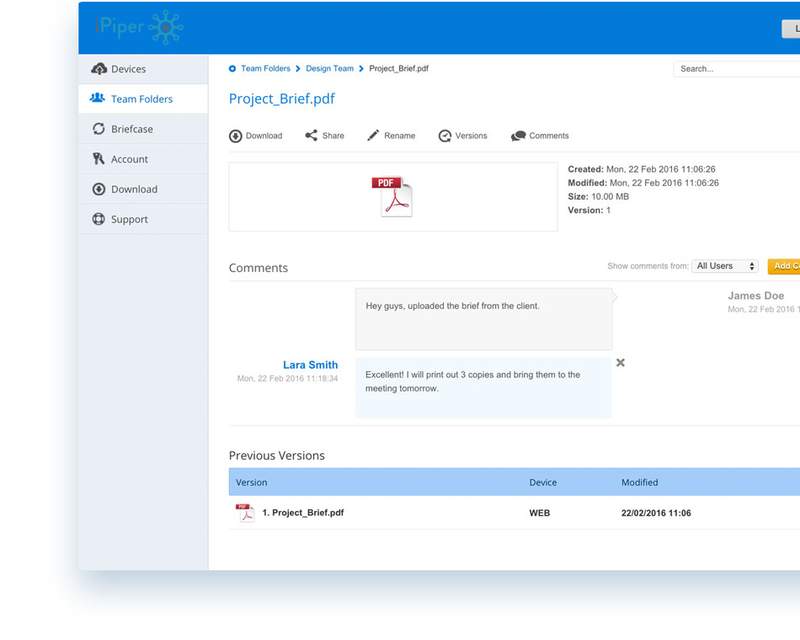 iPiper Pro also offers data synchronisation which allows you to save work on a single file from different devices and file sharing which enables you to share project files with multiple users. iPiperPro is the cloud storage solution for businesses and professionals alike, but it is also suitable for domestic customers who lead a highly digitalised life. 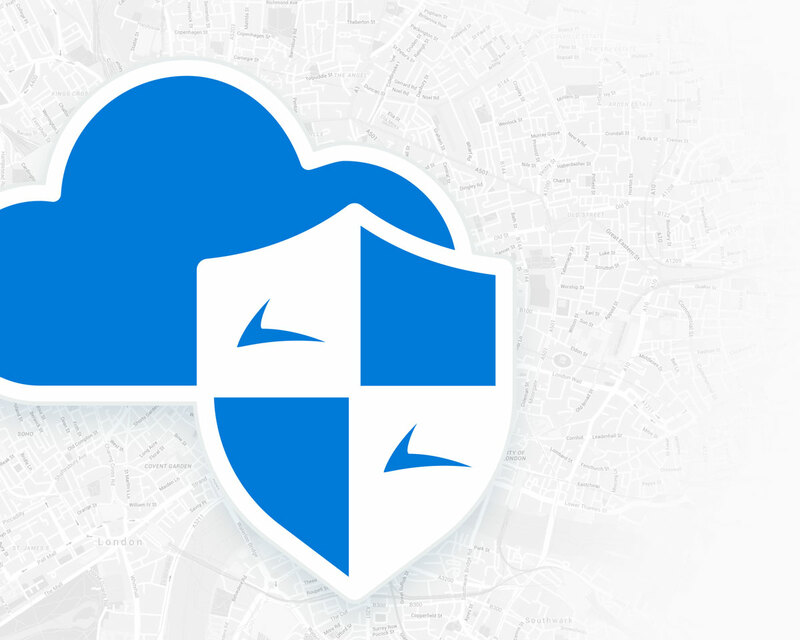 Data theft need not be a cloud storage issue if the correct security protocols are met. We use state-of-the-art military grade security that incorporates high-end, cross-platform encryption algorithms during both transfer and storage. Several copies of your data will be kept within our secure UK data centres. Your data will be held safe within our tried and tested systems. Team folders enable colleagues to work privately together or could enable you to send files to the entire company. You choose who can view and edit files in each private folder. 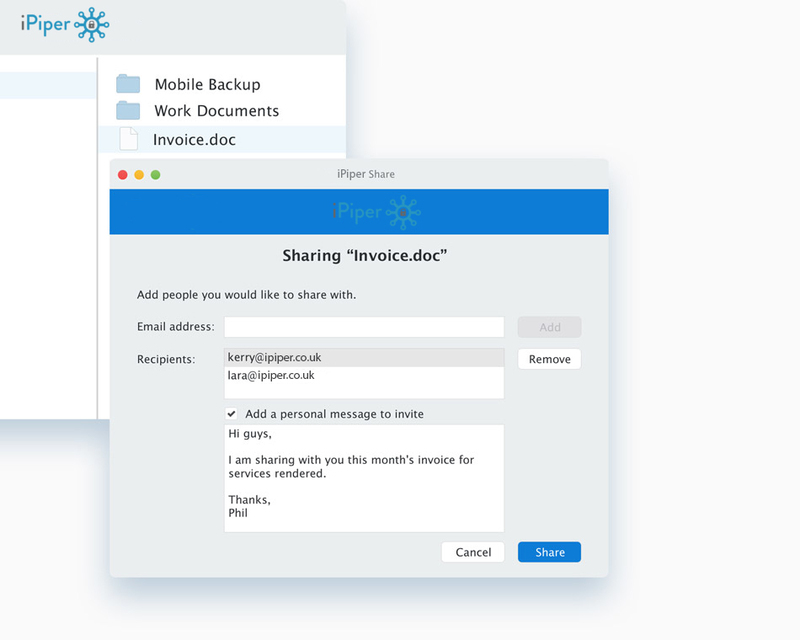 Share your files or folders securely with your colleagues, clients and partners in seconds. No email attachments and no hassle. We needed a WordPress & Website hosting package that had the right skilled support staff who could help with our user database issues when it came to uploading updates. Cloudpiper.co.uk offered answered and resolved our database linking issues and business email account setups. They don’t pass the buck as many would, they take time to replicate the issue and look to resolve the problem which was quick as you can tell they have lots of experience. I can now share, upload my photos with the family, no restrictions on what I can upload either. iPiper also lets me access and upload from anywhere and their free app is good for mobile access. Cloudpiper are now hosting my website which they migrated and changed my domain transfer to them for free, everything with 1 supplier makes my life easier! Since signing up to iPiper Doc storage facility, I can work from anywhere now and access my work on the road, no more keeping all my work on my laptop and delay in sending by email to colleagues, as I can share my online folders with my other work colleagues. I like the fact that if you not sure about setting up folder permissions, their support will do this for you in support ticket request and you have a dedicated support person who is familiar always with your account. 12a, Greenhill Street, Dept 106, Stratford Upon Avon, Warwickshire, CV37 6LF.